The Answer: This question will be answered more from a preference standpoint and less from a “Biblical” standpoint, although one could throw a couple of Bible verses out that encourage followers of Jesus to be in community with each other. For instance, apparently some church people 2,000 years ago had the same questions you have today, so the author of Hebrews said in Hebrews 10:25, “do not neglect the assembling of yourselves together, as the manner of some has become, but exhort/encourage one another…” We’re told over 50 times in the NT to “________ one another” (whether that be love, honor, serve, encourage, etc.) and so in order to do that, we need to actually know one another and worship Jesus with one another. Will ALL those “one another’s” happen on a Sunday morning? Absolutely not… BUT, Sunday morning is where it begins. We’re told in 1 Corinthians that we (collectively) are the body of Christ, and we (individually) are members of the body, so when the body is missing parts, it doesn’t function fully as it should. Think of it like team-work - when the team isn’t functioning well or when team members are missing, the team collectively won’t be as strong as it can be. The Question - Why is it deemed necessary to do something with your child very early on? Does this not breed the before-mentioned Lemming effect (read more about that here)? If you raise your child and force them into a path or require them to participate in a church are you not essentially pushing them again towards the cult mentality? Brainwash them early so they do not resist? A different way to look at this that could be more open-minded is to educate the children on all the different options, take them to different churches, let them experience the others when they are old enough. If the church that you are involved with truly is the right one, would they not be drawn back to that through the education/beliefs, and showing them the correct path in that manner? Does baptism early, Sunday-school early, and all the steps that the churches put in place really do anything to truly educate children on the other religions and why the are differing, what those beliefs are, and how they are different, or are they simply a way to ensure there is not “resistance” when they get older? I’m going to answer this in a couple of different parts, and will include a brief video example of my answer as well to help provide clarity. In this short video clip, Andy is explaining to Opie’s hobo friend (Mr. Dave) that the influences in thinking Mr Dave has provided to Opie may have appeared to be a “different way to look at it,” but in the end, leads down a path that isn’t the best for Opie (in the long run, at least). Mr Dave uses words that we can relate to today as well - like “living by your wit” and “exploring all your options” - we’d say similar things today. We want to be savvy in how we live our lives and the choices we make. We want to ensure that we’re looking at all the options that we feel suit us best and provide the best benefit for us in the short and long terms. Very similar to Mr Dave. However, Andy’s response shows a deeper understanding beyond the “wit” or “savvy” of what we think is understanding - Andy’s response shows wisdom - something that very few parents use when dealing with their children (which is why we see society, social media, etc. the way we do now - where it appears as though the kids rule the world and are smarter and more knowledgeable than the parents - but that’s another blog entry). Watch the video and we’ll proceed with the answer afterwards. See what I mean? It’s the responsibility of a parent to teach their children the RIGHT way - not just ANY way. The Bible is clear when it says to train a child in the way he should go (Proverbs 22:6). That means that we need to educate our children in the right way, explain the difference between right and wrong (as Andy mentioned in the video), and help them choose the right paths so they gain wisdom and discernment in how to analyze and decide when given lots of options. As a primitive example, we teach our children good hygiene, rules of safety and respect for others, physical and mental/emotional health, etc. Why then, if we know the RIGHT way for their spiritual health, would we not teach them that as well? Just as kids don’t like brushing their teeth or eating their veggies, we encourage them to do it anyway, knowing that those things promote a healthy lifestyle. We also know that when they’re grown and on their own, it’s entirely their choice as to whether they want to continue brushing their teeth or eating their veggies. As parents, we can’t FORCE them to follow the right paths throughout their lives, but we can continually love them and ENCOURAGE them to do so. The same applies to their faith/belief system. Jesus Christ is the only person who is a central figure in a faith that CLAIMED DIETY. And PROVED DIETY. The only one. All other major religions had prophets who pointed to “god” and created their own religions and cults. Jesus Christ didn’t point to anyone but Himself. Very unusual. There’s no “fence-riding” with Jesus (in fact, He said that Himself in Matthew 12:30 and Luke 11:23 - you’re either with Him or against Him). So, it’s incumbent upon Christian parents and Church children’s workers to teach the children the correct paths. That path leads to love and respect for God, for others, and for yourself, among other things. While teaching children the foundations of the faith, there is a time to teach them about other belief systems as well - and to do so respectfully. But that time isn’t until the child (however old they are) has a handle on the Truth first. Like Andy said in the video, kids (or anyone immature) will grab for the first shiny thing that catches their eye, ignoring what may be best in the long run. We do that with our own faith too - we want immediate satisfaction/pleasure/gratification/answers… and if someone who seems bright/intelligent/charismatic will give them to us, we’ll gladly accept them without doing our own research (which breeds your Lemming effect, mentioned above). That’s NOT the goal of the Church - the goal of the Church is to TEACH children (and adults) to dig deep into the Bible for themselves, looking to those more mature in the faith to help with the harder questions/answers (VERY similar to what we’re doing with these questions/answers), but to trust that the Holy Spirit will guide them as they earnestly seek God’s Truth. So, we teach the Bible to EVERY age group - and teach them to NOT trust us, but to trust GOD’S WORD (which has never been proven incorrect). As you teach your child faith in Jesus Christ, they’re not going to be perfect. They’re not going to follow it well sometimes (maybe not at all). And that’s up to them. All we can do as parents is to pray for them, love them unconditionally, and help guide them to the Bible that teaches us of a Heavenly Father who will love them perfectly. As they grow, they may choose a different church than you… that’s why there are so many churches - some people prefer old songs, some prefer new songs. Some prefer potlucks and pianos. Some prefer community groups and loud concerts. The key is this - as long as that church is PREACHING, TEACHING, LIVING, LOVING, WORSHIPPING Jesus Christ, then things are cool - any church that teaches salvation by grace alone through faith alone in Christ alone according to the Scriptures alone for the glory of God alone is good. We’re all on the same team. It’s when a “church” strays from the above that things get sideways and wolves start preying on and deceiving the flock for their own gain. To summarize, we teach our children to give them a solid foundation early so that when they are presented with all the other “options” (and they will be presented with LOTS of other options from society), they can analyze those options from a correct view point and hopefully make a wise decision that will lead them well through life, and not just a “short-sided” decision that will only benefit them for a short time. To repeat above, “train (or educate) a child in the way they should go, and when they’re older, they’ll not depart from it.” As we educate our children well, we are to give them wisdom (not just knowledge) that will help them through their lives. That wisdom is founded upon Jesus Christ. This was a bit of a longer post, but I hope it helps you. If you’re wondering when you should start teaching your children about Jesus and when you should start bringing them to church, the answer is NOW. “Why do certain ‘Christians’ end up only coming on certain days and feel they are doing what they need to be a ‘Christian’?” - well, let’s bypass what I think, or you may think, or what anyone else thinks and go back to what God has already said. We’ll use that as our foundation and go from there. Titus 3:5 tells us that we are Christians (or “saved”) because God in His grace and mercy saves us - not because we’ve done or not done something right (like go to church regularly). We don’t go to church in order to be saved, but we are encouraged (in fact, some would say commanded) in Hebrews 10:25 to go to church to worship Jesus, learn about Jesus, grow deeper in our faith and take it out to a world that is lost without Jesus. Many who go to church find the Truth being preached and taught and lived out there, and they hear about and accept the Christ around Whom and for Whom and because of Whom the church exists. Why do churches not foster understanding overall and welcome new members rather than treat them as outsiders? 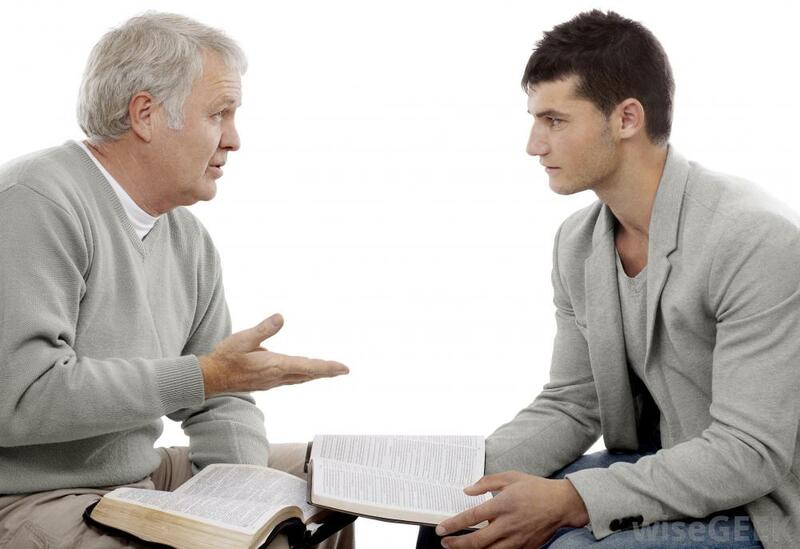 Through many different conversations across many different denominations, each time I ask the congregation membership why they do something it is usually followed with “that’s the way it has always been,” or “that is the way we always do it.” Why not challenge these norms to have a progressive understanding and ever-evolving understanding of the Bible, passages, and the Word, rather than simply redoing something that fit in years ago and trying to fit a round peg in a square hole of today’s society? First, welcoming new members/visitors/guests - It’s no surprise that people don’t like change. You can see that more clearly than perhaps anywhere when you walk into a new church filled with old members who have “their seat.” When you sit in their seat, some folks become offended. Some become indignant. Some wonder why you don’t know it’s their seat (being a visitor, shouldn’t you know the rules already?!? <— that’s sarcasm). Some wonder why in the world you chose their seatwhen there are SO MANY OTHER places to sit. I don’t encourage any of those - in fact, I as the pastor and we as CommUNITY Church would probably bust their chops pretty hard if those attitudes or words were given. But then there’s another group that would not only gladly “give up” their seat (which they understand isn’t their seat at all), but would like to sit next to you or close to you and introduce themselves and make you feel welcome. My goal is for ALL of CommUNITY Church and ALL of churches everywhere to fall into that category. Let’s face it - you’re already somewhat uncomfortable as you’re the new person in what you’d perceive to be a crowd of people who know each other. Just showing up can be a daunting task. I would lead you to two Bible verses when dealing with the former groups of people - first off, Ephesians 4:2 tells us to gently and patiently tolerate one another. I’d ask that you show grace to the ignorant in this situation. I would also look to those people who are wondering why you’re in their seat and remind them of 1 Peter 4:9, which directs us to be hospitable to one another. As mentioned in this past Sunday’s talk ("#3 - Small Groups are Still Vital"), there are over 50 “one another” verses in the New Testament, a vast majority of which the church doesn’t do well. Shame on us for it, but grace on us to help us do it better. Secondly, let me address your last statement about the church evolving and fitting a square peg in a round hole. The church BOTH should AND shouldn’t change. The methods that the church utilizes should ALWAYS be changing to meet the needs of the people its trying to reach… but the Message that the church should have should never change. I say “should have” because at certain times in history, the church has carried its own messages that were not Biblical (i.e., slavery, the Crusades, abuse of power, etc.). The Message of the church should ALWAYS and ONLY be Jesus’ Message to us - the Bible. Here’s what I mean - the Bible is a timeless Truth for timely needs. The Psalmist clearly said that The Lord’s Word is forever settled in Heaven (Psalm 119:89). We know from Paul that ALL Scripture is breathed out by God and useful… that we may be thoroughly equipped for every good work" (2 Timothy 3:15-17). We also know that Colossians 2 deals with the dangers that are faced when a church denies the sufficiency of Scripture and includes non-Biblical writings, ungodly theology (which is almost an oxymoron). In fact, Paul warned the church at Colosse, “see to it that no one takes you captive through hollow and deceptive philosophy, which depends on human tradition and basic principles of this world rather than on Christ.” (Colossians 2:8). So, how do we fit a square peg in a round hole, as you’d addressed above? With the Bible. Doing what it says. Speaking where it speaks (and just as importantly, NOT speaking where it is silent). There’s no room for others opinions where God has already spoken. The Bible answers timely questions with timeless truths. As you’re looking for a church, find one, just as CommUNITY Church does, that builds its foundations on the solid truths of the Bible and not on the shifting sands of the opinions or current fads of society. If all churches are the same, why are there so many? What’s the right church? How can I trust someone who says they hear from God? Why not live my life how I want and “get saved” at the end? Are churches encouraging people to blindly follow the leader and not think for themselves? Why should churches not be seen as a cult? They are essentially a large group of smaller sample sets of religious organizations bonded for a signified goal that could be misrepresented, misled, or misguided. This is the same standpoint that religious cults get scrutinized for. They are all there for a purpose, organized, and the membership is expected to follow that path. The external world then looks down on these organizations for being unaccepting of outsiders. They keep their membership close to vest, and ensure that only the believers of the end goal are there. Is this not exactly what a church does? I’ll start by saying this - I apologize on behalf of everyone who has led you to think that a church discourages those who attend from the ability to think, study, and challenge the “status quo” for the purpose of gaining wisdom… that a church denies those who attend from being more open about their faith and the place where they worship Jehovah God… that a church directs those who attend to be exclusive in their views of themselves and “outsiders” and secretive about the goings on on Sunday mornings or throughout the week. That’s a bunch of malarky. So, let me clarify the difference between Christ’s Church and a cult (that is most likely led by an ignorant screwball seeking his own glory and benefit rather than the glory of God and the good of others). A definition - cults are typically thought of as a group of people who worship the devil and make obscene sacrifices (sometimes human) on the altar burning with some weird incense, or some other bizarre, evil, pagan rituals… Essentially, while in broadest terms, a cult is a system with particular rites and customs, it’s more accurately defined as an unorthodox sect whose members distort the original doctrines (beliefs) of that religious system. Specifically, a cult is “a religious group that denies one or more of the fundamentals of Biblical truth.” Those fundamentals can be found here. 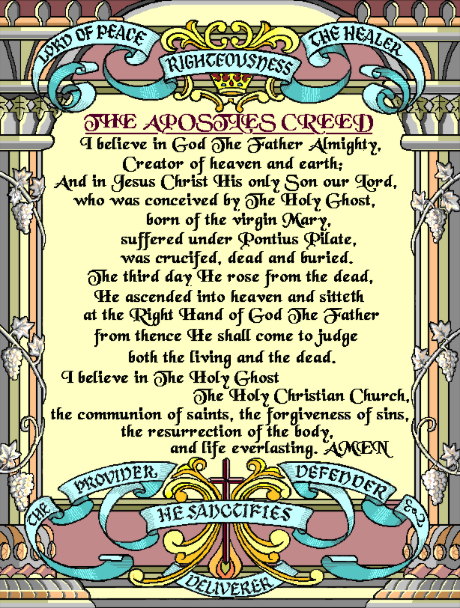 So, if you’re hearing about a new “church” or want to know what your current place of worship believes, compare it against the link previously shared, or agains the Apostle’s Creed, which is found below. If the “church” you’re attending strays from these fundamentals, you may have wondered into a cult, and not a church. ​A couple of the most common errant teachings of cults who call themselves “Christian” are that Jesus was not God and that salvation is not by faith alone. A denial of Jesus’ divinity portrays an incomplete work on the cross, and therefore insufficient to pay our debt for our sin. A denial of salvation by faith alone in Christ will result in the false teaching that salvation can be achieved (even in part) by our own efforts. Jehovah’s Witness and Mormons are two of the most popular cults that skew Christianity today and follow the above false teachings, denying the truth presented in God’s Word (i.e., the Bible). In researching the answer to this question, I’ve come across (from this site) a list of 12 characteristics of a cult. I will list them below and then will list the characteristics of Christianity immediately following so you’re able to clearly see the difference. One supreme leader or group of leaders who possess a monopoly on the voice of God. This leadership is generally charismatic (i.e., attractive, persuasive, endearing, etc.). Relationship to the god of this religion is through the leader or leaders of that group (there can be no direct communion or communication with their god). The authenticity of the group hinges upon some private interpretation or secretly received information that’s not to be examined by anyone. Salvation/Heaven in afterlife is through this group alone and/or specific leaders and his/her/their “secretly discovered and protected” teaching. There is an emphasis on performance for the furtherance of influence of that group through selling literature, flowers, knocking on doors, taking 2 year mission trips, etc. There is usually an undue amount of pressure - socially and religiously - to “give” financially to that specific group only and no other. There is usually a great level of control exerted over its members through isolation from family and loved ones who do not ascribe to the cult’s teachings. There is usually a great level of control overtly or otherwise exerted over its members through the threat of expulsion and disassociation from the group. If expulsion does occur, complete “shunning” or “total avoidance” is commanded toward the “apostate” of the existing members. 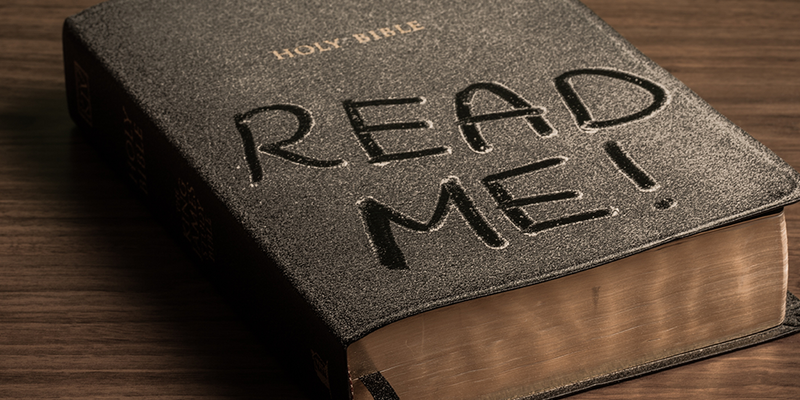 The Bible is the very words of God, and ANYONE has access to God’s word (or voice) - and is GREATLY ENCOURAGED to read the Bible. The church doesn’t save anyone, but wants to lead everyone to the One who can and will save any who ask. Everyone’s welcome. Nobody’s perfect. Anything’s possible. Relationship with Jehovah God through Jesus Christ is not dependent on anyone but you. No one “holds the key” to a personal relationship with God other than Jesus Christ - He’s the way, the truth, and the life. No one comes to God but through Him… and all are welcome. The Church should invite those with questions, detractors, or others who don’t believe in Jesus into conversation - that’s where understanding happens. Those who don’t follow Christ aren’t seen as an enemy, but they’re loved and served in a way that shows how much Jesus loves. Salvation/Heaven is found not through someone or something else, but through Christ alone. Salvation is by Grace alone through faith alone in Christ alone according to the Scriptures alone for the glory of God alone. Just as a human moves from milk to meat as they grow, spiritually, as we learn more about God through the preaching, teaching, and study of His Word, there is an encouragement for followers of Jesus to use their passions and gifts and talents for the glory of God and the good of others (including supporting family and friends). God loves a cheerful giver - not one who gives out of compulsion. You are free to give as much or as little as you’d like - how much you give is between you and God alone. God was generous with us, so we want to follow and be generous of our time, talents, and treasures for His glory and the good of others. Christianity isn’t perfect - some may want to try to control you, but that’s not in line with the Bible. Jesus never sought to control anyone, but to counsel them and allow for independence in decision making. How do you know if you’re part of a church or a cult? Go back to the Bible. Study the Word and know what it says… then compare what God’s Word says to the situation you’re in. If they’re not in agreement, you may be in the wrong place. If you find you are in the wrong place, you’re invited to come hang out with us and over time, become a part of CommUNITY. We’re not perfect… but we know One who is and we want to follow Him. ​To continue in my series of Questions and Answers I’ve received, here’s the next question I’ve received, along with my answer. I do hope you take the time to read this, and process this, and RESEARCH this - and not just accept this as truth only because “the pastor said so.” Dig deep in the Bible. Do your work. Form your conclusions. The Question: Why are churches essentially breeding the Lemming effect? all of the followers do just that… but do they know the reasons why? Do churches foster independent thought, challenging the leadership, questioning the end game? ​Many or most do not, and churches expect its congregants to fall in line and follow the course. Why? ​With this question, we’re peeling back a few layers of the “real person” and diving into what many find to be uncomfortable territory. We’re challenging the “status quo” and are causing people to actually THINK and not just follow (thus, the reference to Lemmings). Most will not read much beyond this sentence, sadly. And it’s to their detriment. With this question, you’re uncovering something that lots of churches try to suppress - that many who claim to be “all in” for Jesus don’t actually have much of a clue as to why they believe what they believe, or what the Bible ACTUALLY says - they simply follow a pastor that is probably funny, somewhat trendy and current, and does a great job of engaging the audience. The thought is that, “the pastor said it, and he had a Bible in his hand (or a Bible verse on the screen), so he MUST be right! !” and they leave their analysis there and move on to the next big thing. To this pastor, it’s heartbreaking. In fact, this is one of the biggest reasons CommUNITY Church instituted the “Post Script” effort - one that has all the church elders on the stage after each service to answer ANY questions people have about what they saw/heard that morning, or what they’re learning and not quite understanding on their own. While there are a select few that are religious in attending these sessions (pardon the pun), many choose to go on their way and not challenge or ask the question behind the question… and that may be evidence of a larger problem within Western Christianity - many just don’t care enough to dig deeper than what is taught in 45 minutes once per week. And that’s what’s heart-breaking… because those same people will be challenged by you (the one who asked this question), and they’ll look foolish for not having a well-researched answer, and you will have yet another reason that you’ll use to bolster your view that “church is a waste of my time” because no one takes it seriously. that its impossible to imagine their convictions as noble. Their faith is a complete accident of their upbringing as much to their credit as a zebra its stripes. posted on 11/27/2007 at jeremypryor.wordpress.com (I’ve not read anything else by this author, so I cannot and will not validate other posts or writings that you may find). ​By validating your findings, I want to get to my answers for your questions… I’m not sure why churches are breeding the Lemming effect. I’m not even sure that most churches are aware they’re doing it. If they are aware, and continue to do so, RUN AWAY. Any church that wants you to follow their teachings blindly and not dig deep into the Bible on your own and ask the hard questions for the purpose of growth and learning wouldn’t be considered a true, Bible-believing, New Testament church desiring to grow it’s people… it would be more like a social club that uses the name of Jesus a lot and promotes a “Christian” way of life. I can’t speak on behalf of most other churches - I can only speak on behalf of CommUNITY Church, and the few other churches I’ve been a part of. At CommUNITY Church, we WANT you to ask the hard questions (thus, the reason for the “Post Script” sessions we have). We want people to hear what the pastor says and then look it up and research it for themselves. We want people to dig deep into the Word to learn how to CORRECTLY handle it and to CORRECTLY apply it, and not misuse it for their own glory or their own profit… it should all be for GOD’S glory and the good of others. That being said, I’ve wrestled with many teachings of the Bible. I still am wrestling with some. That’s a life-long process that will end one day when King Jesus reveals all the answers… but when I’m with Jesus, I’m not sure I’ll care about some of the other answers any more. Now lets be clear. St. Augustine said, “in essentials, unity; in non-essentials, liberty; in all things, charity.” There’s a LOT of truth there. At CommUNITY Church, we try to follow that closely because we’ve researched it, discussed it, and found it to be the most helpful for the most people and brings glory to King Jesus and allows for the good for others. We rephrase it to say that we have some closed-handed beliefs (which can be questioned/discussed, but at the end of the day, the foundational/primary/closed-handed beliefs won’t change - those can be found here). There are also open-handed beliefs (which we have, but are clear that they are “secondary” beliefs, or doctrines, that we can discuss, but won’t argue much over if you or another church believe differently). BUT, we want to ensure that we’re discussing the PRIMARIES and the SECONDARIES with a heart of love, honor, and respect for anyone that we’re talking to. Truth without love is brutality. If you’re reading this, and want to see what that’s like, I invite you to come hang out with us for a few weeks and see what you see. Hopefully you’ll see a lot about Jesus, a lot about helping others, and a little about us. Speaking from a pastoral point of view, I want as many to come to a faith in Christ as possible. And it’s partly because of that statement above. Hell wasn’t created for humans. It was created for satan and his demons. But since humans decided to turn against God as well, and reject God’s love to go their own ways, a holy and just and righteous God will need to deal with your sin just as He will deal with satan and the demons’ sin. But the sentence doesn’t HAVE to be that - God isn’t sending people to Hell. We choose to go there of our own accord by rejecting the OTHER path He laid out for us - the path that leads straight through His Son, Jesus Christ (Jesus said, “I am the way, the truth and the life… NO ONE comes to the Father, except through Me.” - emphasis mine). 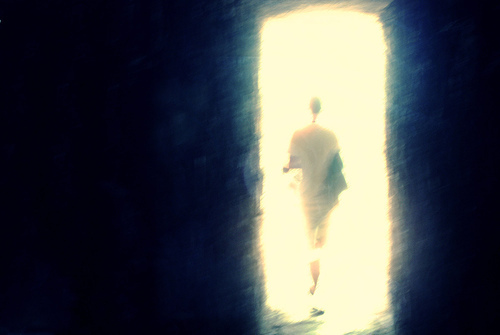 Speaking from a strictly humanistic point of view, one has to wonder if that “death bed confession” is a true repentance, or merely saying words in hopes to have all the bases covered. The Bible is clear that TODAY is the day of salvation, meaning two things. Firstly, today is ALWAYS the best day to accept Christ as your Savior and make Him your Lord. Secondly, there are people around this globe making that exact decision today, and yesterday, and tomorrow - every day. The question is, will you be one of those people? Because just as TODAY is the day of salvation (as we read in 2 Corinthians 6:2, link above), it’s also true that it is appointed for man to die, and after that comes judgment. The bottom line is that no one knows when they’re going to breathe their last and walk through the doors. So, from a pastoral view, I care less about what they’ve done in the past, and more about a true change of heart and mind towards Christ, who has paid for all OUR sins by dying OUR death on OUR cross… He paid it all - and He’s given us an amazing chance to accept His gift of salvation TODAY… because for some of us reading this, tomorrow may never come. And if I don’t make the best choice for Christ today, I need to remember that Hell is hot, and eternity is a long time without Christ. Now, let me deal with one other statement - you’d asked, “why is it allowed that a Priest/Pastor/Preacher save someone just before death after a life of corruptness and inappropriate behavior?” I would again answer twofold. First, why not? it’s always a good day to turn from that life into a new life with Christ!! (I think I made that point above) Secondly, it’s not the Priest/Pastor/Preacher saving anyone - we are just a messenger that God puts in the lives of those whom He is already calling to Himself. God saves us… we don’t save us. Would I rather that corrupt and inappropriate life have changed much earlier? ABSOLUTELY. There’s a path of “collateral damage” because of those sins that may have generational impacts on many… but at the end of the day, if there was a truly repentant heart calling out to Jesus, He’ll answer EVERY TIME. 150 years ago, there was a 13 year old boy (we’ll call him “Andy”) who was as poor as could be, but his parents scrapped together enough money to move their family of three to a new land with new adventures known as the United States. This was quite a change for young Andy, but he became acclimated to his new home and began to learn and grow mentally as much as he grew physically. He soon was hired to work on telegraphs, but he was fairly aware that there was more he could do. 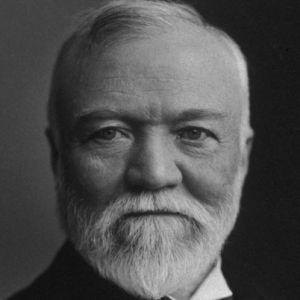 We know him today as Andrew Carnegie. In his life, he was able to amass a personal net worth of approximately $310 billion (in the late 1800’s). Our modern world has not seen another individual with that kind of wealth. “Andy” spent the last 15 years of his life giving away 90% of his wealth to charities, universities, foundations, and even churches (although we have no true record that he believed or accepted Jesus Christ as his personal Savior). Andy had reached the pinnacle of what this world would term as success - built through a series of transactions that involved his personal dealings with people… daily. When people started looking to “Andy” as a cultural, economical, and at times, even a political leader of the nation (even though he didn’t hold public office), he made a VERY interesting statement that summarizes his interactions with people throughout his life. He said, as I grow older, I pay less attention to what men say, and more attention to what they do. As mentioned above, Mr Carnegie’s life is well documented, and we see very little in his life about “church” - he had actually grown quite disenfranchised with religion for a lengthy time. He had found society, and the church, to be somewhat hypocritical - meaning words and actions didn’t agree. The Bible talks about that very thing in the book of James (2:14-17). We also see that Jesus addressed it as well (Matthew 7:21). We see it played out daily in our news and reports. At the time of this writing, the 2016 presidential election is in full-swing and we hear very little of political platforms and issues, and we hear much about personal issues and past sins… I’ve seen friends divided more over this election than anytime I can remember. We see people’s words in NO WAY matching their actions. So, what are we to do? Examine ourselves. Look at our words and our actions. Are we claiming Jesus on social media but then treating others poorly? Are we showing up at church on Sunday but not allowing Jesus’ truth to permeate our lives and our actions throughout the week? Christianity is NOT rocket science. Your faith was never intended to be complicated (there’s a reason Jesus spoke of having child-like faith). Your faith in Christ was intended to be LIVED OUT DAILY… not perfectly, but purposefully. Intentionally. Lovingly. May your faith not be dead… but may it be alive, and may your words and your actions bring honor and glory to Jesus Christ.